"What am I going to do with you?" 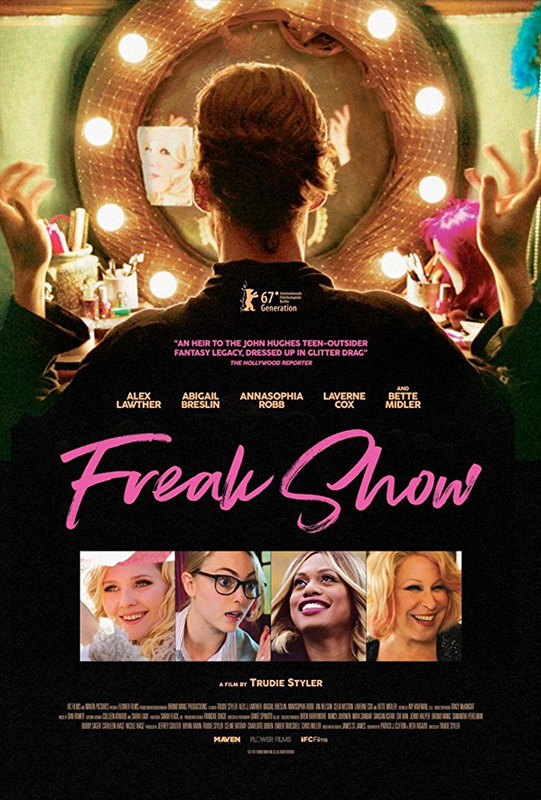 IFC Films has debuted an official US trailer for an underrated indie dramedy titled Freak Show, which played under-the-radar at a few festivals this year after premiering in Berlin. But I'm guessing most people haven't heard of it. Freak Show is about a "fabulous, glitter-bedecked, gender-bending teenager" named Billy Bloom, played by up-and-coming young actor Alex Lawther, and his experiences at a public high school. It tells a very peculiar story of how to be who you are and not let it affect you, even if you're a freak or weirdo or whatever. His mother is played by Bette Midler, and the cast includes Laverne Cox, Ian Nelson, Abigail Breslin, and AnnaSophia Robb. This is actually a very entertaining film that is worth seeking out, no really. I first saw this at the Karlovy Vary Film Festival in the summer, and wrote a review here. It has a great soundtrack and plenty of smart humor. Check it out below. Billy Bloom (Alex Lawther) is one-of-a-kind: a fabulous, glitter-bedecked, gender-bending teenager whose razor-sharp wit is matched only his by his outrageous, anything-goes fashion sense. When his glamorous mother (Bette Midler) is forced to send him to live with his straight-laced father (Larry Pine), Billy finds himself a diva-out-of-water at his new ultra-conservative high school. Undaunted by the bullies who don’t understand him, the fearless Billy sets out to make a big statement in his own inimitable way: challenging the school’s reigning mean girl (Abigail Breslin) for the title of homecoming queen. This proudly offbeat comedy is an irresistible ode to outsiders and nonconformists of all stripes. 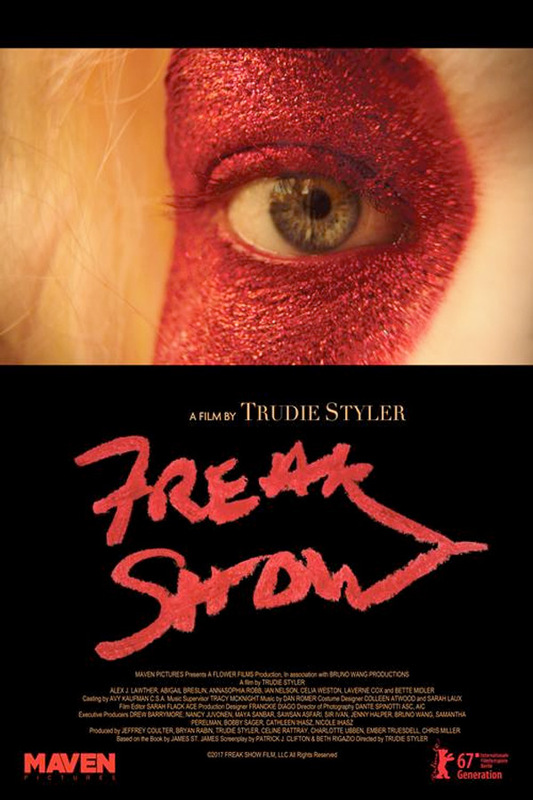 Freak Show is directed by English filmmaker Trudie Styler, an actress/producer making her feature directorial debut, after also co-directing The Sweatbox documentary. The screenplay is written by Patrick J. Clifton & Beth Rigazio, based on James St. James' novel of the same name. This first premiered at the Berlin Film Festival earlier this year. IFC will open Freak Show in select theaters + on VOD starting January 12th, 2018. Who's curious?